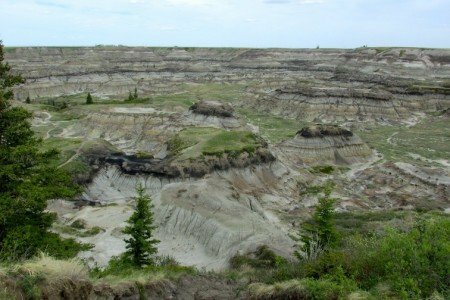 As we drove East of Alberta and across the vast Canadian Badlands, I couldn’t help but wonder how in the world do people survive out here? This was much different than life on the West side of the country where, if I were still in Banff, I’d be whitewater rafting down the Kicking Horse River. You could go on for miles and miles without seeing a single soul; only grasslands, the occasional prairie dog and, let’s face it, remnants of the lost lands where dinosaurs once roamed the earth. This wasn’t exactly what I had in mind when traveling through Canada. I always thought this country was nothing but towering rocky mountains, grizzly bears, pine trees and, of course, lots & lots of moose. But what I got was the total opposite. And you know what? I couldn’t have been happier. 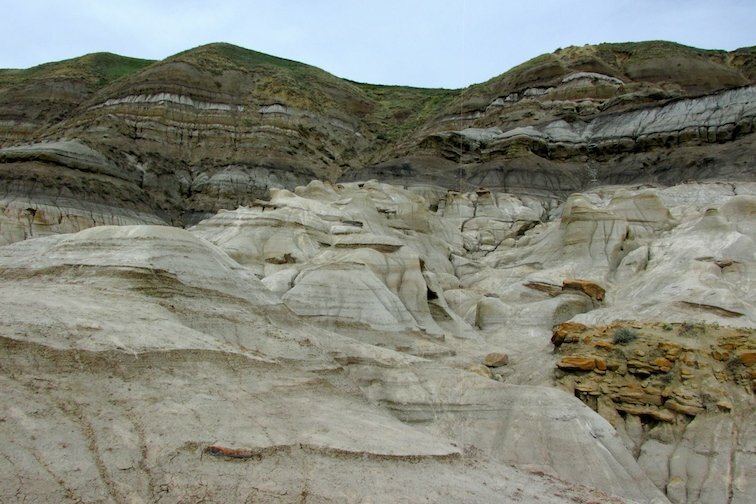 The Alberta Badlands were as diverse as ever and I was ever so eager to explore what the Wild West of the Canadian Badlands had to offer. Take a look at these top 3 sites my local guides and dear friends Ali & Tom showed me as we drove for miles & miles….errr, excuse me, kilometers & kilometers to see! 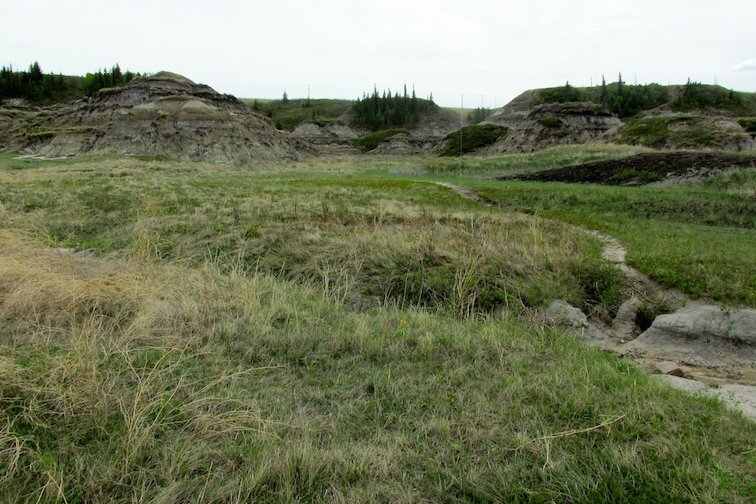 As the very first site we stopped at on the way across the Canadian Badlands, this portion of the Red Deer River Valley I found quite interesting. Reminding me of the Grand Canyon of the Pacific, this small canyon seemed to be millions of years old when, in fact, it was created during the last glacial period about 22,000-12,000 years ago. With a few small trails leading down into the heart of it, we hiked deep into the base where I could get a closer look at the sheer beauty, vegetation, and runoffs that created very interesting formations. Truth be told, I felt as if I was hiking into the Lost World where dinosaurs still roamed the earth. 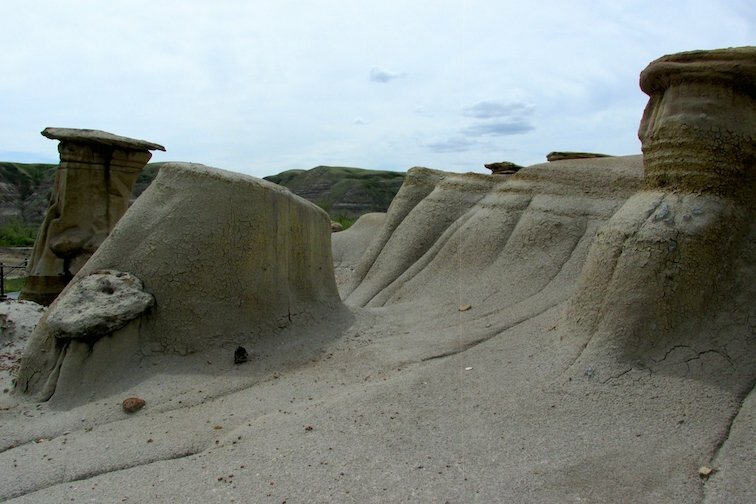 The Drumheller Hoodoos seem to stand against time as a geological wonder at the mouth of the Willow Creek Coulee. But how were the created? 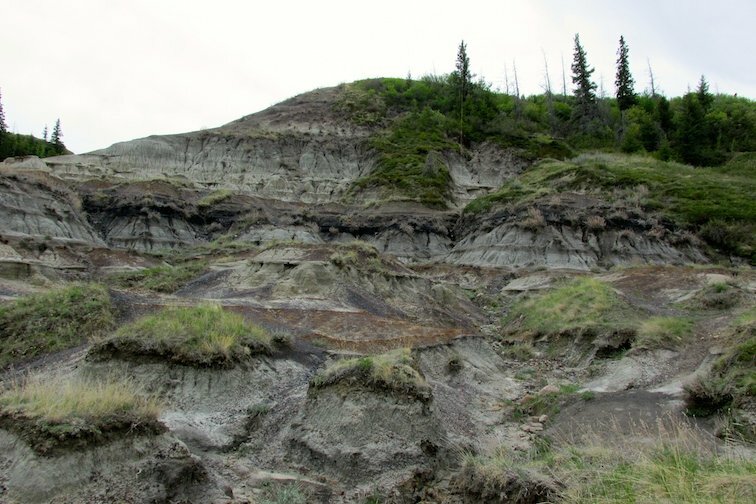 As it turns out, the hoodoos carry a variety of different layers of dirt. 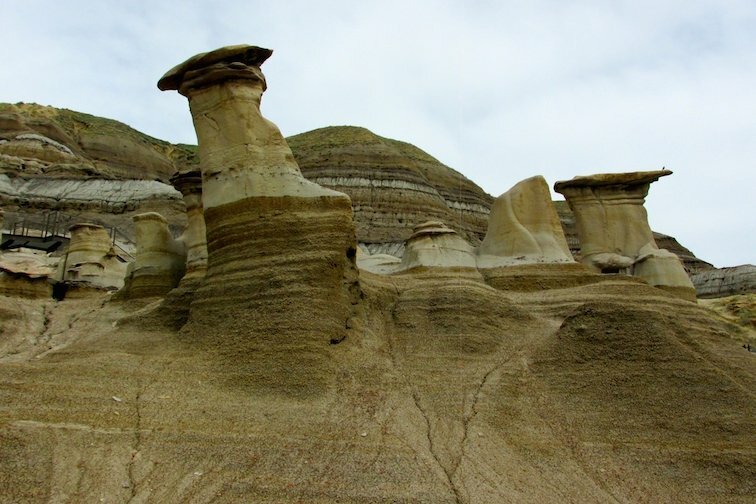 The top of the hoodoo has a much denser consistency compared to that of the layers below which protects it from the weather. 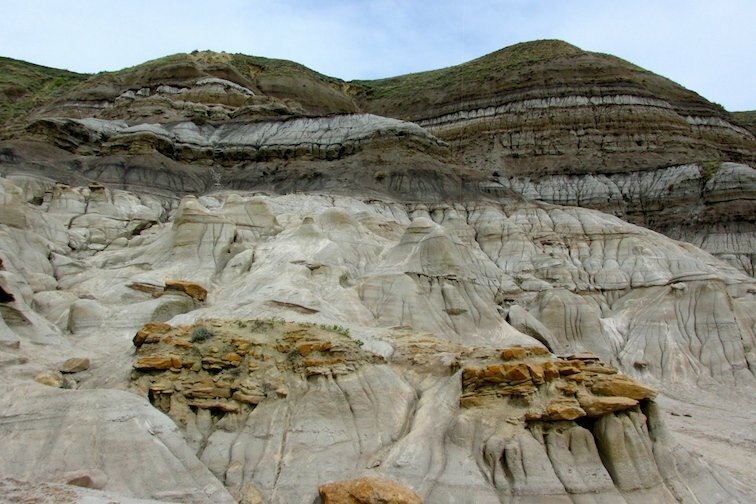 This dense layer in return serves as a sort of mushroom top, which gives the hoodoos their interesting shape that you can see today. 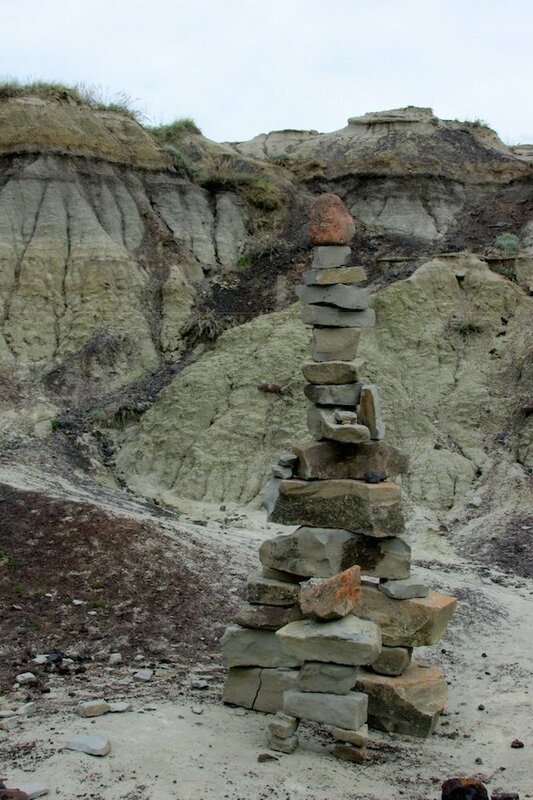 Once I found this out, I became much more interested in these very interesting structures as you could see time “at a standstill”, if you will, of past, present and future hoodoos took form. 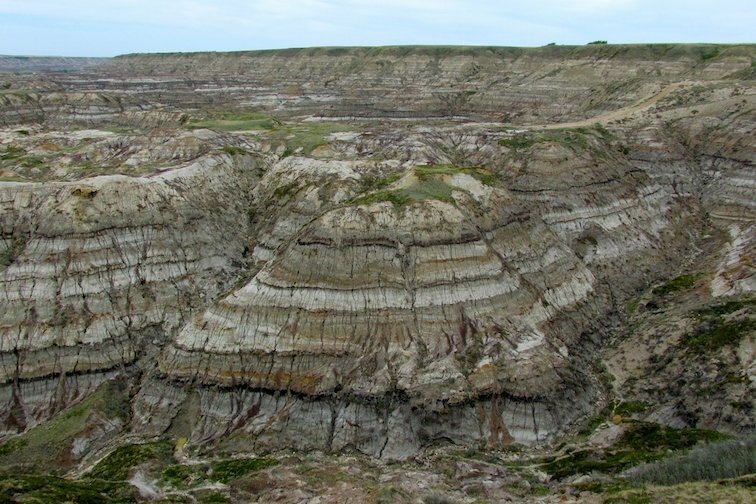 Dating back some 70 millions years ago, Horse Thief Canyon is one of the richest archeological digging sites in the world. 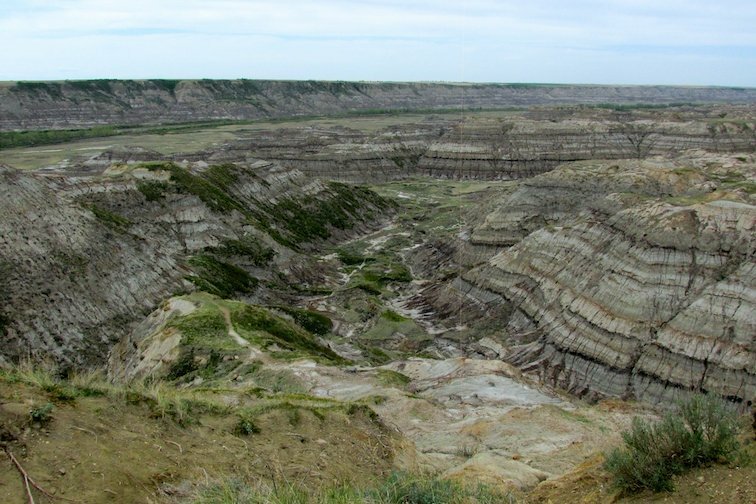 Over 35 species of dinosaurs from the Reptile Period were found in this area along with surrounding sites including the Red Deer River Valley as well as sites just outside of the Drumheller Hoodoos. Where did it get its interesting name? Well, legend has it that back in the day where Cowboys & Indians roamed the lands, they would pass through this canyon where some of the horses would disappear. 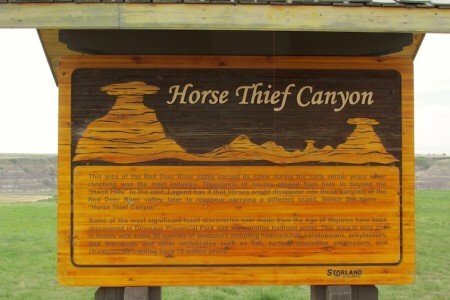 They would later find those same horses reappearing with a totally different brand; hence the name Horse Thief Canyon. I think what I enjoyed most were not only the scurrying little prairie dogs going from hole to hole but the scenic views that seemed to stretch on for miles! 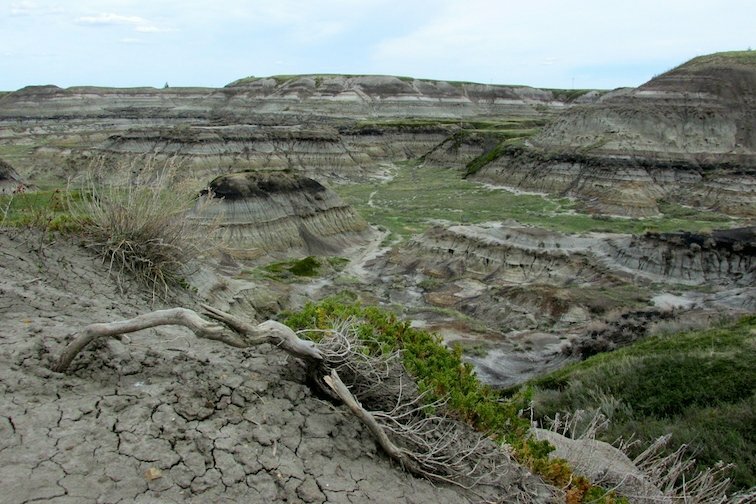 Have you ever been to the Canadian Alberta badlands and seen dinosaur fossils? 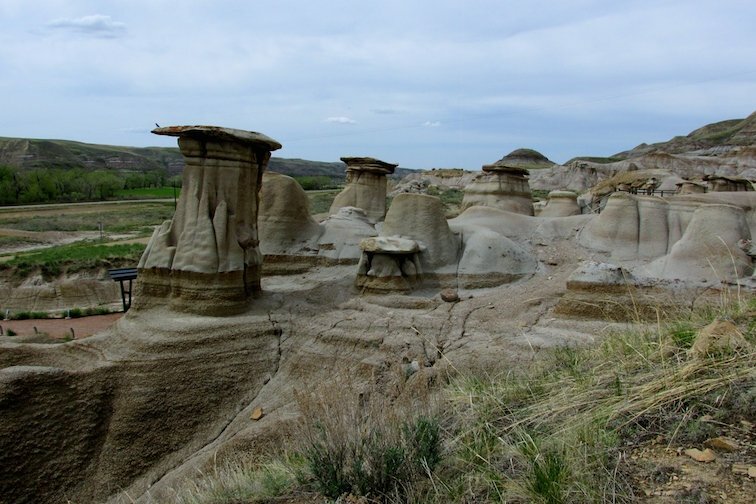 The Drumheller Hoodoos looks really great, generally whole Badlands looks like a place I would enjoy! Beautiful! Thanks Marysia…I think you would too! There’s some really neat hiking spots too. Amazing shots! I didn’t know this area at all, but it looks like it’s definitely worth a visit. I can’t choose the one I like best! Crazy interesting! 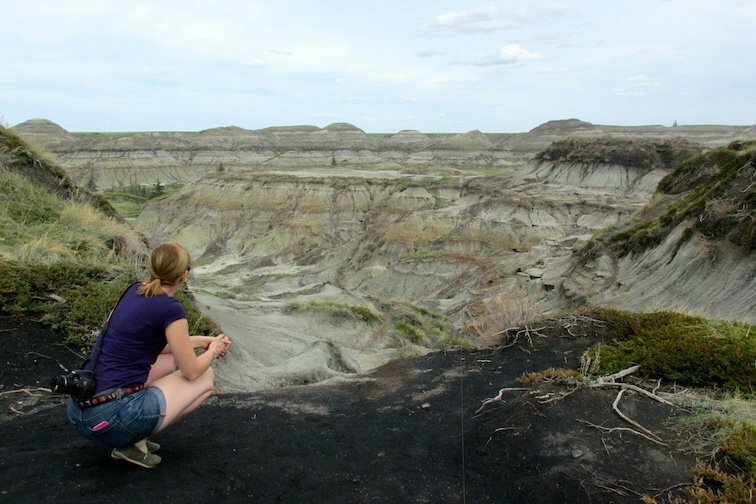 I had never even heard of the Canadian Badlands until now – I would love to get here though; these are the kinds of places we seriously love visiting! Love the legends which go along with each place – I always find that fascinating imagining what it would have been like way back then. 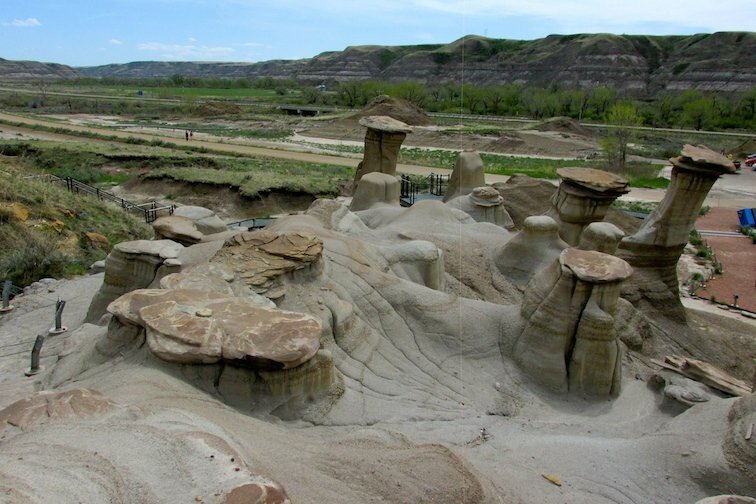 The Drumheller Hoodoos for some reason reminds me of Marcahuasi, in Peru. I don’t know…. those weird rock formations I guess? 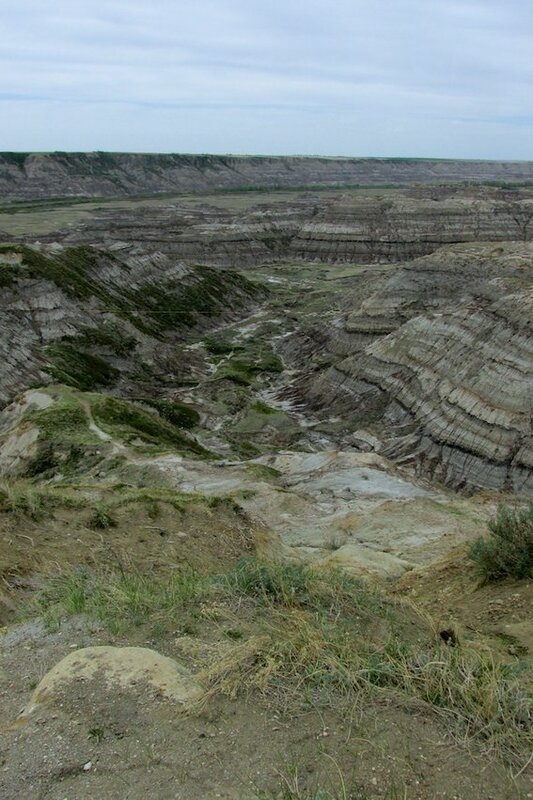 I had never heard of the Canadian Badlands, but they look similar to the Badlands in South Dakota, except more green! 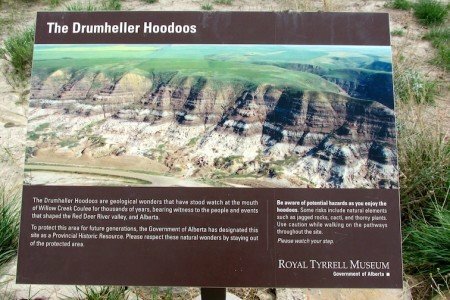 The Drumheller Hoodoos look really unique–would be fun to check this area out sometime! 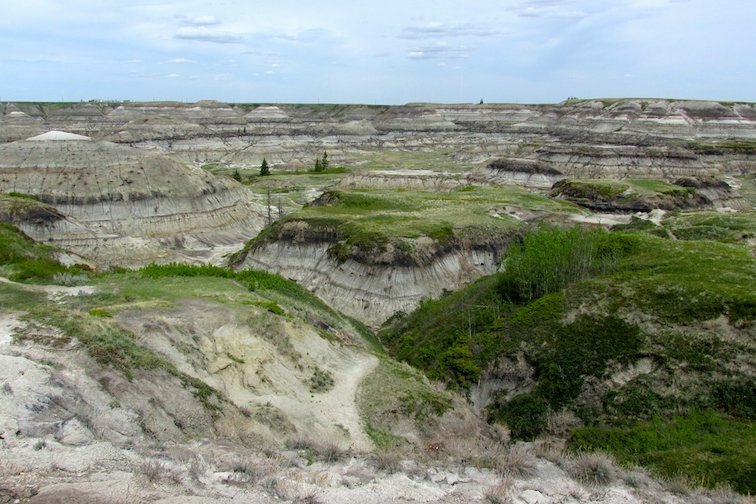 With a name such as the badlands, they don’t look so bad! Would definitely love to go there! Sometimes it looks like you’ve landed on the moon! I’d love to make it out West and see these landscapes. What a gorgeous, unheralded part of Canada this is. 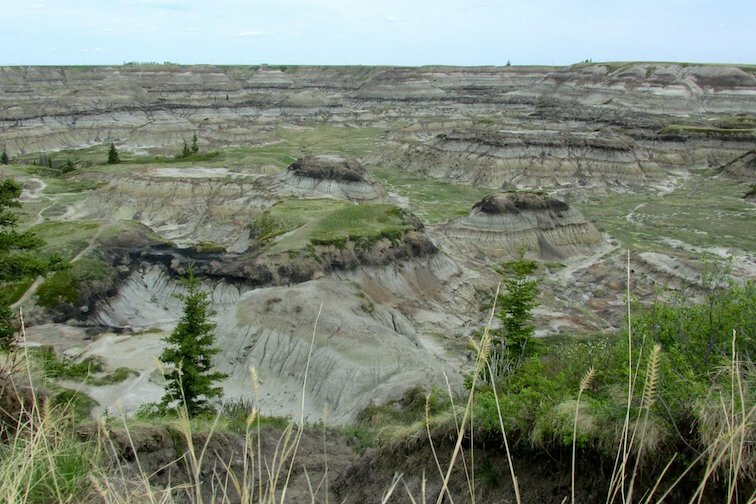 I have to admit that I hadn’t heard of the Canadian Badlands before reading this post but these pictures just ooze natural beauty. So many unique characteristics that would be a photographers dream – definitely adding this to my list of places to visit!